All are welcome to Biocom's continuing education seminar on the use of humanized mice in immuno-oncology and bone metastasis studies on April 12, 2018 at Larkspur Landing. BioCom will hold an in-person continuing education seminar to explore new study design options in immuno-oncology supported by novel humanized mouse models, including a case study on how one particular humanized mouse could be used to study cancer bone metastasis. Presenters include an immunology researcher from Taconic Biosciences and a breast cancer specialist from Pharmatest. BioCom is a strong public voice for California's life sciences and biomedical industries, working on behalf of over 1000 members to drive public policy, build an enviable network of industry leaders, create access to capital, and introduce cutting-edge workforce development and STEM education programs. Pharmatest Services Ltd, a global contract research organization (CRO), specializes in preclinical cancer-induced bone metastasis models. In this seminar, Pharmatest will report on the development of a novel in vivo model of bone metastasis with huNOG mice, providing a platform for immuno-oncology drug discovery and efficacy evaluation in cancer bone metastasis research. Education should continue well after researchers complete their PhD especially when the drug development process and animal models available to study drug candidates are changing rapidly. This phenomenon is particularly evident in the field of immuno-oncology. A wide range of check point inhibitors available in the market, and the recent approval of CAR-T therapy by the FDA, are fueling discussion among researchers about the best practices for in vivo preclinical research on biologics, which often have minimal cross-reactivity to mouse analogues. 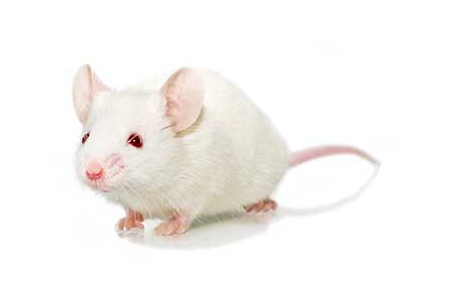 Some researchers, faced with low species cross-reactivity, are turning to humanized mice models to study the function of the human immune system in an in vivo context. However, there are multiple humanized mice models in the market — huNOG, huNOG-EXL, and huPBMC-NOG, for example — which can create uncertainly when selecting the appropriate tools for immuno-oncology research. This complexity increases as the range of immune cells leveraged as therapeutic targets expands. For example, the first wave of immuno-oncology treatment focused on leveraging T cells with check point inhibitors. It was followed by FDA approval of CAR-T (chimeric antigen receptor T cell) therapy, which focused primarily on blood cancers like leukemia and lymphoma. Over time, immune cells beyond T cells, such as Dendritic Cells and NK cells are getting attention as possible cell targets. In addition, CAR-T and other cell and gene therapies are being tested for its effect on solid tumors and metastasis.